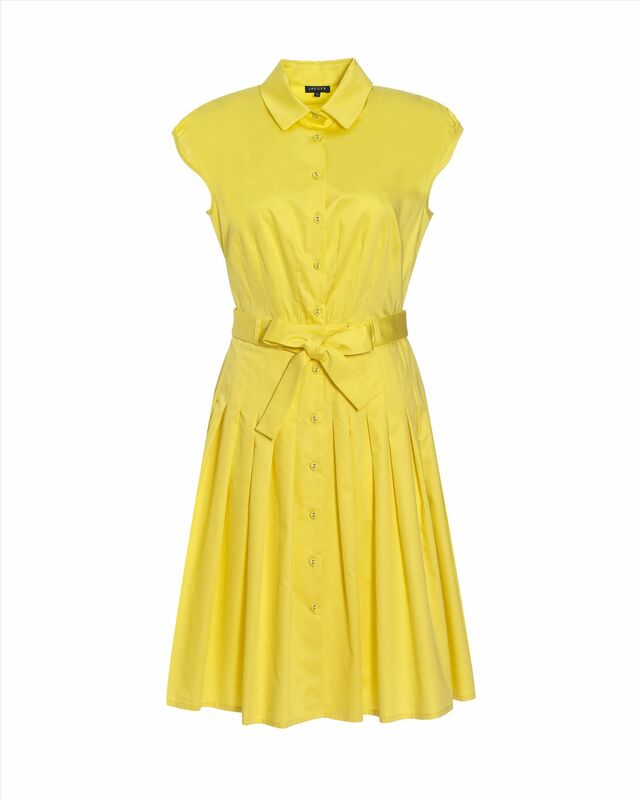 Knee-length yellow pleated cotton shirt dress cinched at the waist with an attached bow and featuring a full skirt, cap sleeves, shirt collar, belt loops and button fastening through the front. It is by Jaeger. 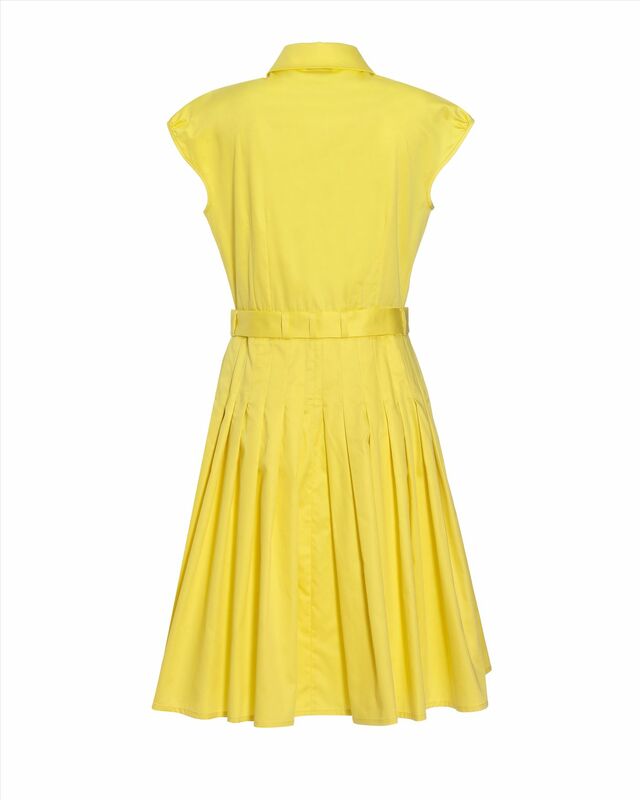 This is a very summery and unpretentious dress that seems very comfortable. It may lack a bit of elegance for an official royal visit. 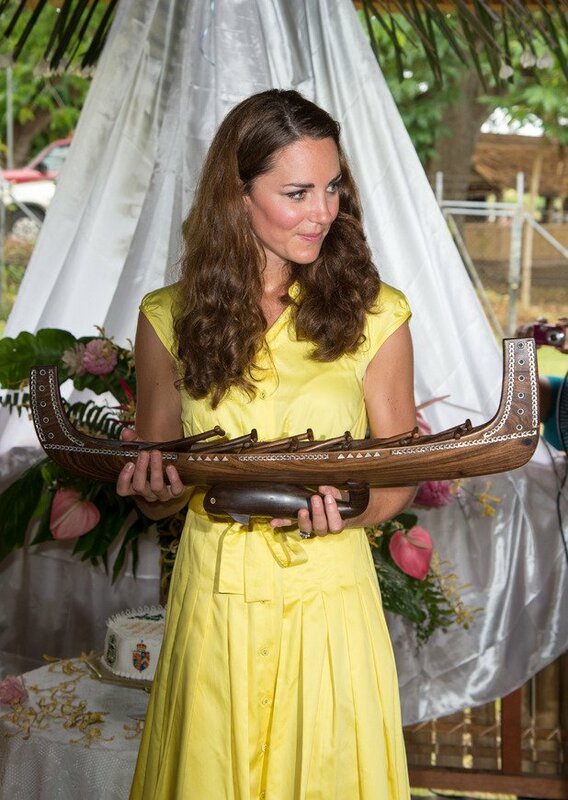 1- The Duchess of Cambridge wore it on 17th September 2012 in Honiara, Solomon Islands. 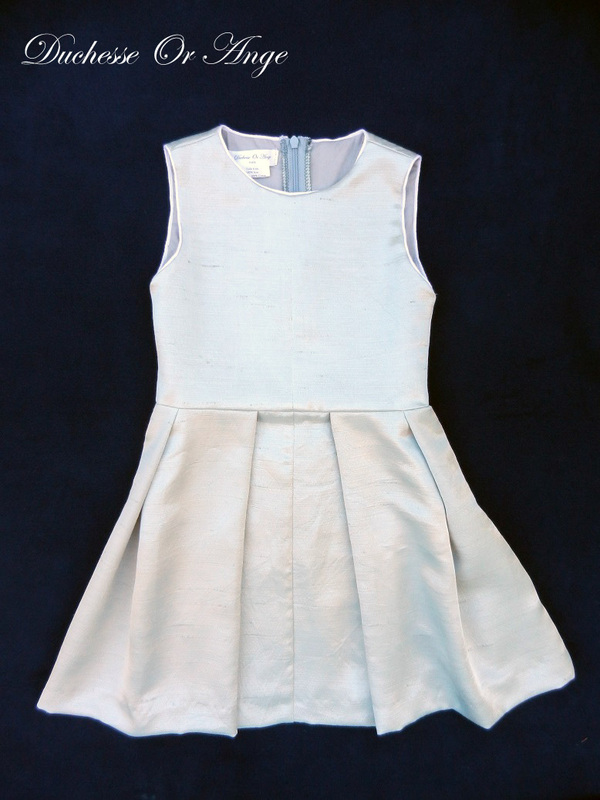 Duchesse Or Ange now available in size 6 years old! 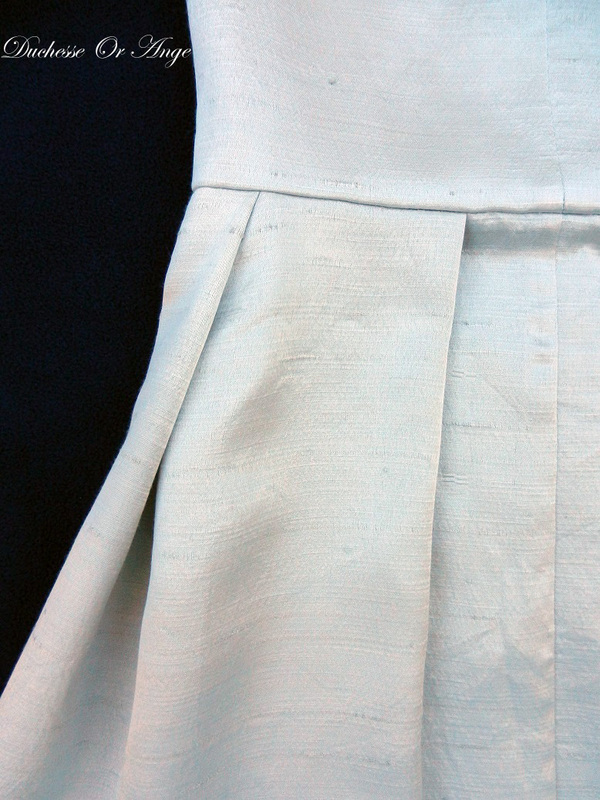 Flat pleats sleeveless dress in heavy silver grey silk trimmed at the neck and sleeves with white cotton edging, fastened at the back with a zip. 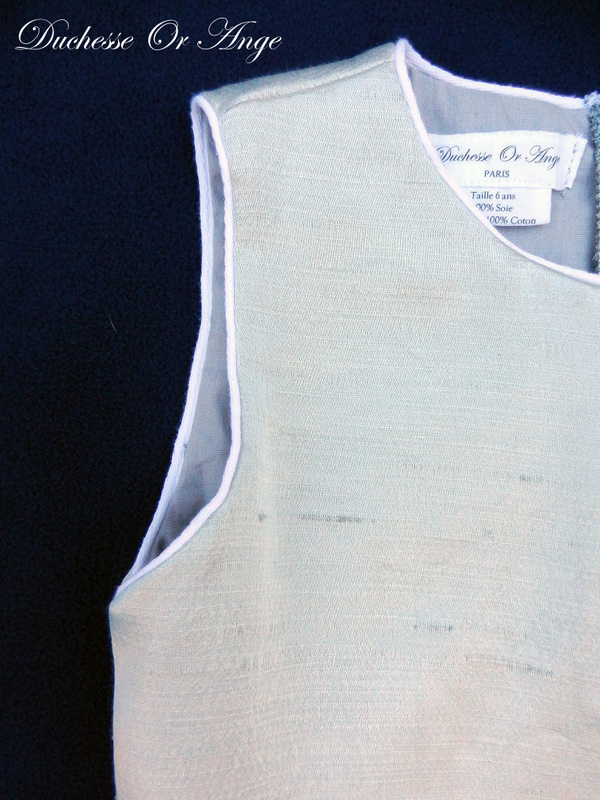 Top lined with grey cotton. 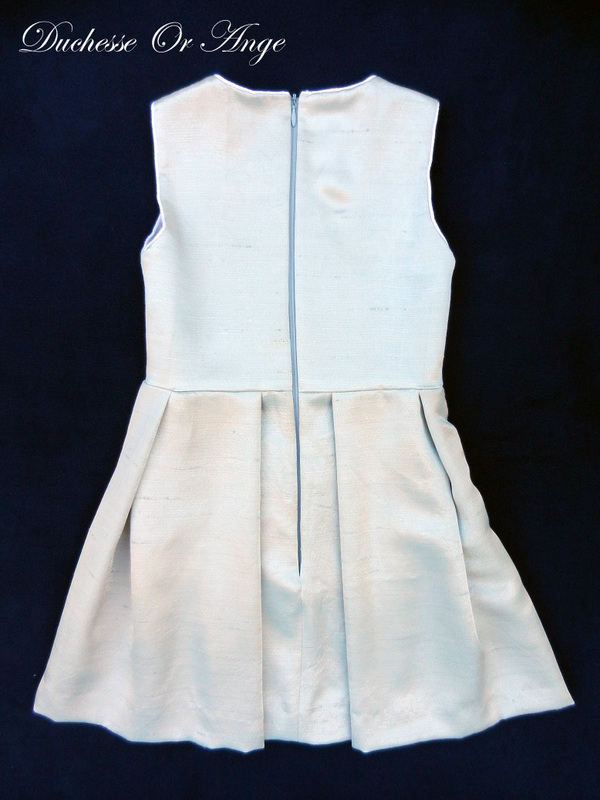 Available at the Duchesse Or Ange online store. Custom-made dove grey tailored coat featuring a funnel neck, a concealed front fastening and structured shoulders. It is by Sarah Burton for Alexander McQueen. Classic and elegant coat in its simplicity. 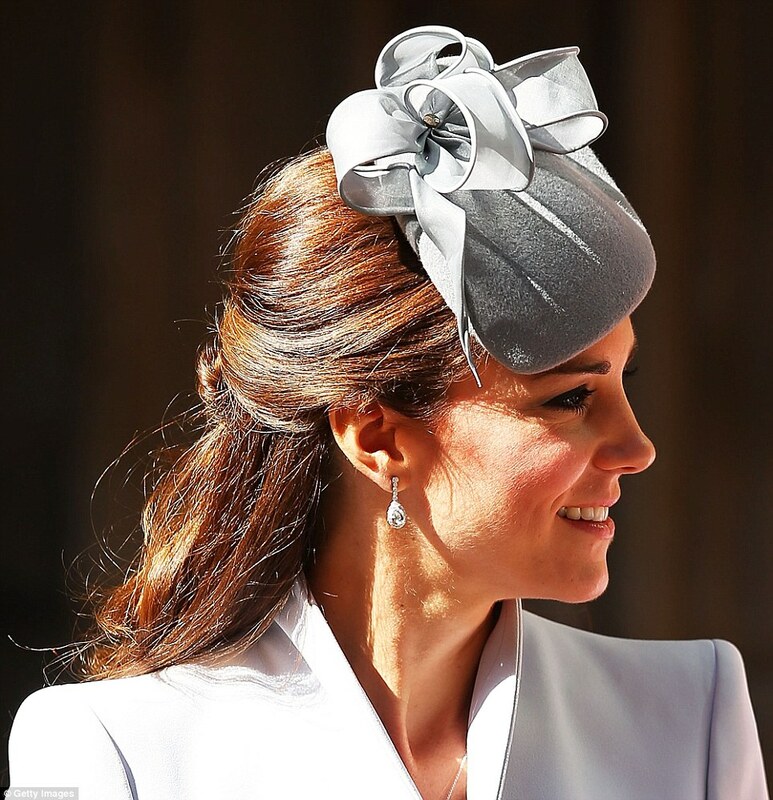 Beautifully cut, it suits the Duchess’ silhouette perfectly. 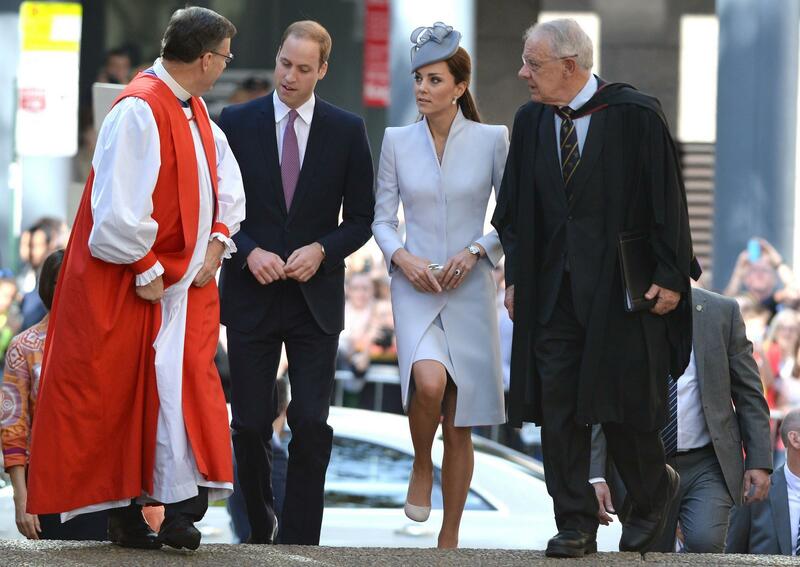 1- The Duchess of Cambridge wore this coat with a matching dress on 20th April 2014 to attend the Easter Sunday Church Service at St Andrew’s Cathedral in Sydney, Australia. Duchesse Or Ange: Summer Sales! Sales at the Duchesse Or Ange online store, special offers on all the stock, don’t miss it! 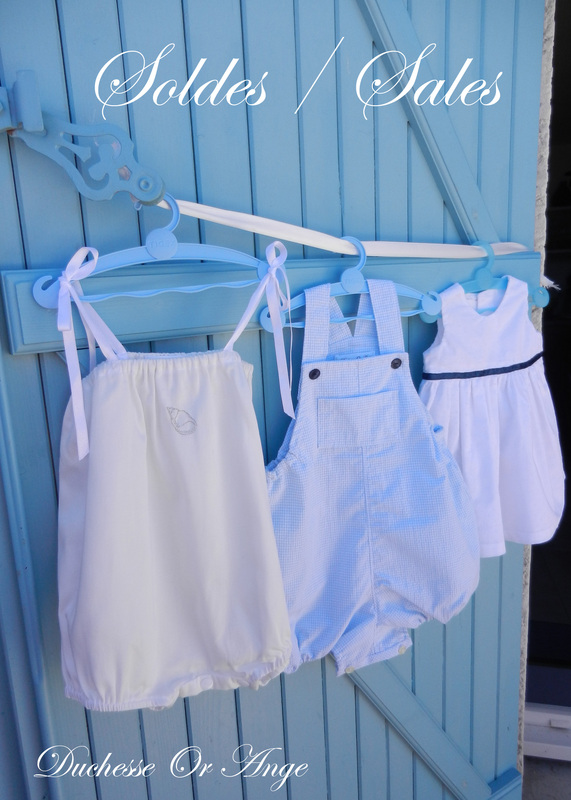 Please visit the Duchesse Or Ange online store, high quality handmade clothing for babies and young children. Contact us if you have specific requests.